A majority of car accidents are caused by drivers not cars. Properly maintaining your vehicle can keep it in good working condition, decreasing the chance of mechanical failures that may cause car accidents. Putting off the routine checkups and scheduled maintenance for your vehicle can end up being more expensive later. Not only are you increasing your repair bill, you might be increasing the chance your car will damage another car and other travelers. Putting off recommended/scheduled maintenance. This is pretty straight-forward, as there are a number of small checkups that you or a qualified mechanic should perform on your vehicle every once in a while. These include checking your battery, topping off fluids, getting the oil changed, aligning tires and replacing brakes when necessary. Obviously, all of these put the driver in a better position to be in control of the vehicle and avoid being involved in an accident. Ignoring the “check engine” light. This is one of the biggest no-no’s of all time, mainly because the check engine light is only a generic indicator that something is wrong. It can be something as simple as a loose gas cap, or as serious and expensive as replacing the catalytic converter. Either way, get it diagnosed and taken care of as soon as possible. Not changing the oil, or not having it changed on time. One of the first rules you pick up when learning about cars is the importance of changing the oil. Car engines build up gunk and sludge that can cause major problems in the future, and engine trouble can be extremely dangerous as it could potentially lead to a fire or serious malfunction. Not checking tire pressure. Properly filled tires provide better gas mileage for a vehicle, but also have a big impact on the driver’s ability to control the vehicle. 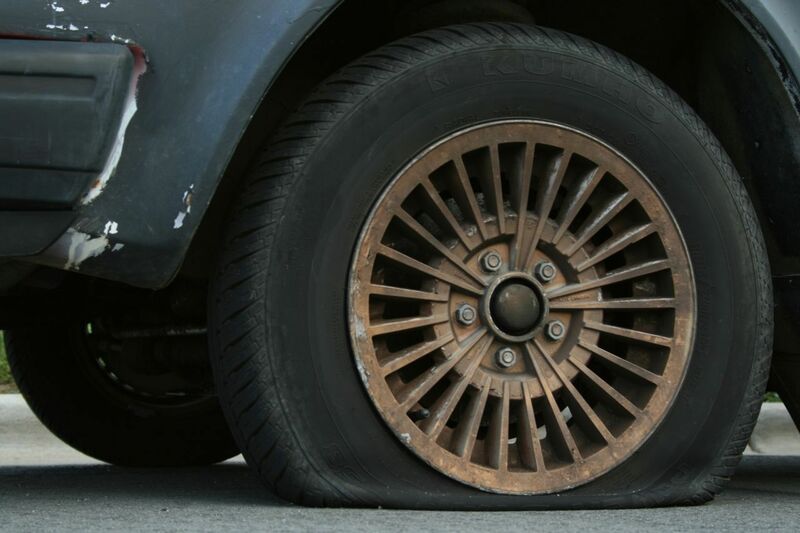 Deflated tires endanger travelers in difficult weather conditions. But don't over-inflate your tires. Check them out your recommended PSI (pounds per square-inch of air pressure). Neglecting coolant, brake, transmission, and other fluids. While coolant is specifically meant for protecting the engine from overheating, other fluids are actually extremely important in keeping the vehicle functioning properly. Brake and transmission fluid are especially significant in preventing car accidents because they help control the movement of the vehicle. Continuing to drive when the vehicle is overheating. The dangers of this practice should be self-explanatory. An overheated engine could lead to an engine fire and seriously injure the driver. At the very least, the driver could be facing costly repairs or a totaled vehicle. If your vehicle is overheating, pull over safely to the side of the road, turn off the engine, and call for help. Not changing fuel and air filters. Regularly changing the air and fuel filters in a vehicle is more beneficial to gas mileage and emissions than it is for preventing accidents and driver safety. However, a well-functioning vehicle is always safer than a poorly-functioning one. Having unqualified shops service your vehicle. There are a lot of auto repair shops out there that are simply in the business for the money. Unfortunately, that means unsuspecting car owners risk falling victim to faulty repairs and cheap parts if they don’t check into the reputation of the repair shop. You don’t want a mechanic installing dangerous or faulty parts on your vehicle, mainly because you never know how those parts might hold up down the road. Do some research before you take your vehicle in for repairs to ensure that the person working on your vehicle is qualified and trustworthy. Using generic aftermarket parts instead of original equipment manufacturer (OEM)-quality parts. Brand name parts are going to have the longest warranties and have been thoroughly inspected for safety. Make sure you know the brands and reliability of the parts that are being installed in your vehicle before the mechanic begins working on your car. Trying to service your own high-tech vehicle. Some people prefer to change the oil or service their own vehicle themselves, rather than take it to a mechanic. There’s nothing wrong with that, as long as you know exactly what you’re doing. There’s a reason that auto mechanics exist, and it’s for people who aren’t experienced enough to make the repairs or service the vehicle on their own. While these ten common mistakes won’t help you avoid the types of car accidents that are caused by driver error, they do address the factors that you can control before you even get in the vehicle to begin with. Put yourself in the position to be a safe driver and avoid accidents by making sure all of the required services and maintenance has been performed before you hit the road.